I couldn't find a design I liked. If you can't find a design you like, make sure you check out designs in other categories. You might find something you do like! Many of our designs have color or photo options as well. If you see a design you like but want a different color, check to see if there are other colors available. The available color options will be next to the name of the design. Have something specific in mind? You can use the search bar to see if we have any designs that fit your theme. Still can't find anything that works? You can also upload your own photo or picture and create a custom design by using one of our photo designs. You can read more about creating your own invitation here. Have something specific in mind? You can also use the search bar in our mobile app to see if we have any designs that fit your theme. 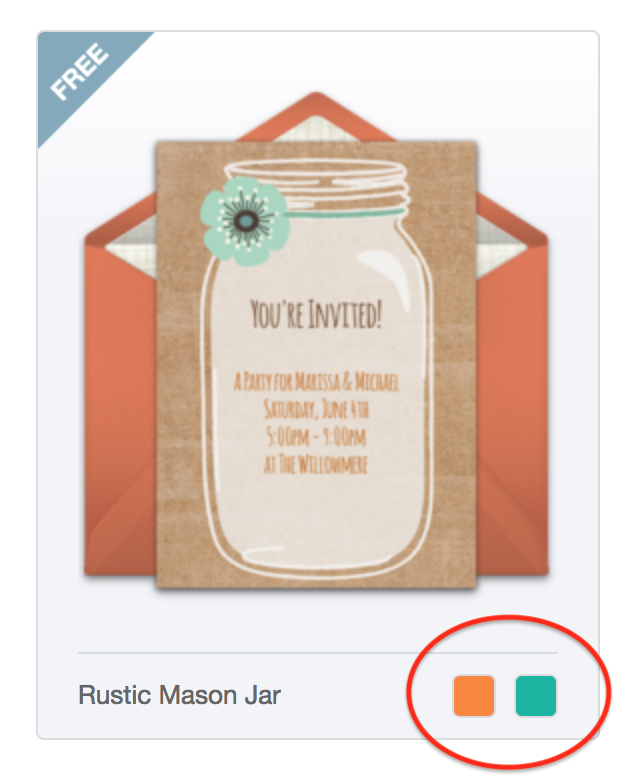 Want to change the color of your invitation? Tap on the Palette symbol when browsing designs to see available color choices. Still can't find anything you like? You can also create a custom design with your own photo by using one of our photo designs in the mobile app. 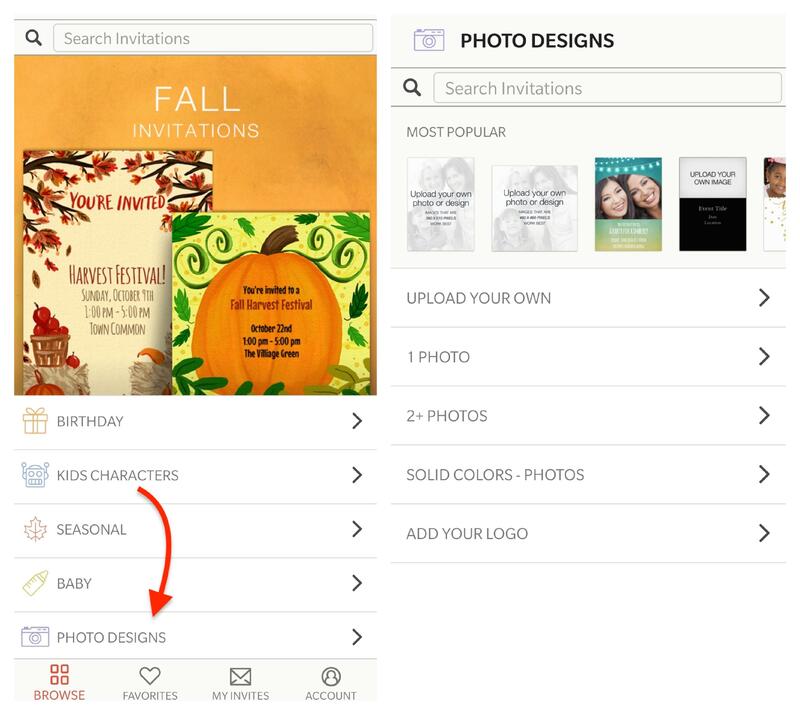 Tap on the Photo Designs category from the Browse tab and then choose which design option you'd like to use! 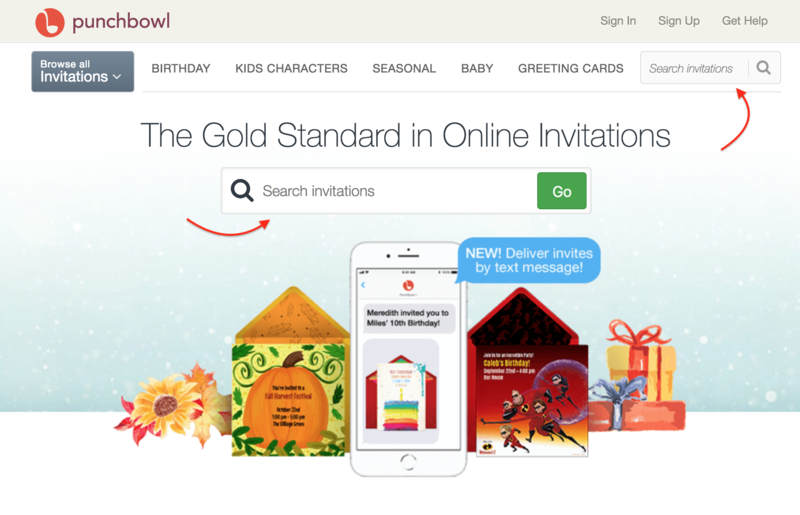 Create & send invites from the Punchbowl app! It's free to download — try it today!